Mental health and cognitive errors are the foundation upon which we struggle with interactions with groups, individuals, and ourselves. Whether we are diagnoseable in a mental health context or not and whether our cognitive biases are significantly problematic or not, how these types of factors interact with each other will influence how we understand ourselves and the world around us. These individual concerns will supervene into group dynamics, whether for good or bad, and if we are interested in any kind of cohesion, cooperation, or truth as any kind of group then we must pay primary attention to our personal tendencies towards cognitive errors and mental health concerns. It’s pointless to merely defend our position with logical argumentation if our very position is subject to biases and potentially mentally unhealthy attitudes. Before we can be concerned about being right philosophically, we have to first be attentive to the effects of mental health, cognitive biases, and self-justification. Being a skeptic means first being skeptical of our own internal processes, because if an error lies there then that error will expand exponentially at every level of our argument, very likely. The very basis of motivated reasoning, self-justification, and rationalizations arise when we fail to recognize our own errors in forming opinions. To trust ourselves or other people, we have to pay attention not only to our intentions and overt logical steps, but also to the emotional and cognitive foundations of our ideas. Thinking we are being rational, honest, and forthright is pointless if we don’t pay attention to the self-correcting steps we need to take in order to be truly authentic as feeling and thinking beings. Intention and honesty are not enough if we are blind to biases which lie under those intentions and our desire to be honest. Honesty is impotent if we’re wrong. Yes, we need to be forthright. But in addition to being forthright, we also need to be willing to be wrong, to self-correct, and to head off cognitive biases, whether they take the form of emotional or rational patterns. If we start out being unwilling to self-correct, this will have obvious ramifications for how we interact with the world, other people, and with our own internal concerns. When I started writing in blog-like form more than 15 years ago (college newspaper columns mostly, but also some essays I wrote for various publications as well), I was writing almost exclusively about atheism. I was writing screeds against religion, “new atheist” style, back in the lat 1990’s. In college, I studied world religions, cultures, and some philosophy, and my senior thesis was about the philosophical and cultural influences of Greece/Rome on the development of the Catholic Church. I had heard all the apologetics (I have not heard anything really new in years), became fairly good at responding to them, and this helped me discover and become part of the atheist community in early 2002, when I started graduate school. In talking with theists and other atheists, I had come to witness all sorts of rationalization, motivated thinking, and cognitive biases. I became fairly good at spotting when people are subject to these cognitive errors. I’m not immune to such things myself (none of us are), but I’m fairly good at noticing it during or at least shortly after doing so (especially with Ginny around to help point it out), and I try to correct it as best I can. The more emotional I am, the more likely I am to be subject to biases. But exposure and attention to these things has helped make me less prone to such things, even if I do occasionally find myself twisted up in logical rationalizations from time to time. So, when I later started hanging around polyamorous people at meetups, private parties, etc, I started to utilize those tools which I had honed within the atheist community, and started to notice patterns of motivated reasoning, biases, and rationalizations there too. it’s not just theists (or atheists) who are subject to these concerns. Most of the motivated reasoning, biases, and rationalizations I ran into was pretty low-level every day stuff, but occasionally I would spot a behavior which was really dug deep in self-justification. And over the years, I have gotten to know various levels of these types of cognitive errors in belief, behavior, and preferences which exist among polyamorous people. What I have come to believe (tentatively, of course) is that we bring cognitive biases, rationalizations, and self-justification with us into whatever communal or social networks in which we spend significant time. Those cognitive concerns influence how we will interact with other people, how we will think about issues which come up, and will be the foundation of where we will stand in the case of any disagreements, rifts, or enmity. When things go bad, where you will be stand relative to an argument will be at least partially based upon what kinds of cognitive errors you are prone to. Going back to the atheist community for a second, let us take a moment to recognize the various splits, rifts, and arguments which have raged over the last several years. A-plussers, slymepitters, and freethought blogs, oh my! Now, I have not seen any significantly complicated analyses of how things like cognitive biases, self-justification, and personal preferences determine where a person will lie on these battle lines, but I’d bet we would start seeing some correlations if we did (which says nothing about causation, I know). We’re all subject to cognitive errors. We all have to be cautious with certainty, whether we err on the side of servility or arrogance. We all have to improve at making sure we are paying attention to how our cognitive biases and mental health issues help determine our opinions, behaviors, and relationships. All too often people will demonize another person out of a need for self-justification. We will idolize someone else for similar reasons. We need to have the bravery to demand complete honesty, vulnerability, and willingness to be wrong (or right) when not only the facts support it, but also various perspectives on those facts support it. Because facts are also subject to bias. That is, they may seem like simple facts, but memory is subject to emotion and bias, and perhaps we don’t remember that “fact” correctly. When people disagree over events, I’m willing to bet that all sides are not only subject to memory fault, but also with their ability to think intersubjectively about the issues well enough. That is, even if the actual facts are not in dispute, certainly our values, preferences and biases will shade how we skew how those facts interact with the world. And then all we have is arguments steeped in motivated reasoning, mental health issues conflicting into personality disputes, and rifts with people who do not understand each other. We can do better. 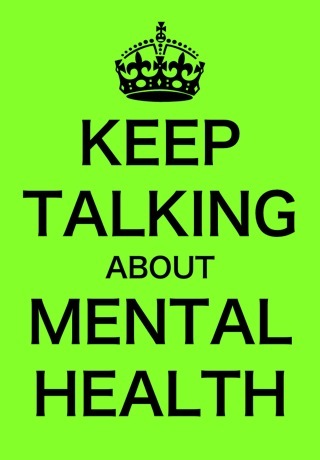 Concerning mental health, we have a similar problem at hand. The symptoms of mental health concerns are common among all of us, to varying degrees. Even if we are not diagnoseable per se, we may have behavior patterns, emotional issues, or cognitive impairments which cause us to miss seeing important influences on how we perceive and interact with the world. We should all be willing to recognize the symptoms of our behavior, how we are seen by people, and how we can improve. If you suffer from symptoms consistent with anxiety, depression, or even a personality disorder, then you need to understand how those symptoms effect how you behave and think. You don’t have to be diagnoseable as a borderline to be subject to problems with emotional management, for example. You might not fall under 5 out of the 9 symptoms to learn something about yourself as a person, if you struggle with some of the symptoms. Consider the difference between having to interact with a person who displays symptoms which cause conflicts but who is aware of them and is trying to solve them, rather than behave defensively and deny or rationalize their behavior as if nothing was wrong. I know that when I have been defensive and have rationalized my behavior, I have caused immense tension for other people. I care about that and I care about my mental health, so I work to overcome such struggles. Because I know I am capable of rationalization and self-justification, I have to check myself in order to see if I’m not just emotionally or cognitively compromised when I’m in conflict with someone else. 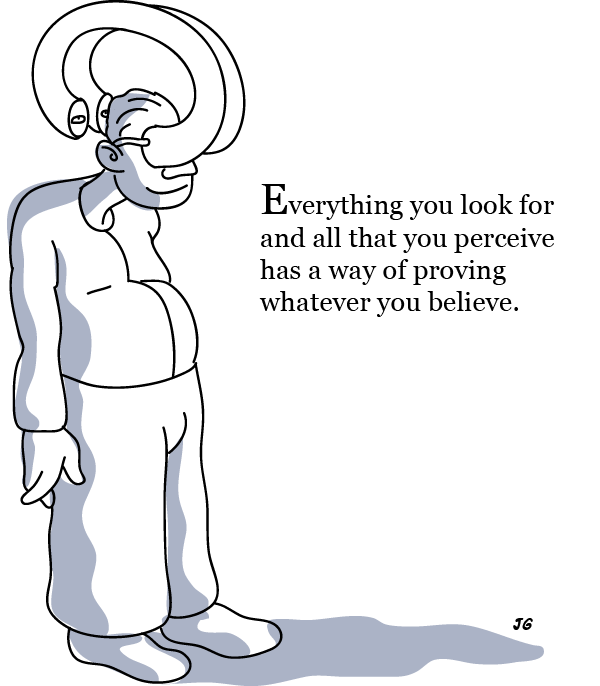 Learning how to see past your own biases is perhaps one of the hardest things we have to do, as humans. Watching someone who is in defensive denial about their behavior is among the most frustrating and powerless positions I have dealt with in my life. For a person to get better, they first have to admit there’s a problem. If they are not willing or able to see the problem, any conversation, criticism, or attempt to help is met with a wall, emotional reactions (feeling “attacked”), or a counter-attack. Combine this with with intelligence and you have a recipe for bullying, enmity, and potential abuse. I’ve seen both sides of this, and we can do better. Please, be willing to look honestly and fully at yourself. Do not merely invite criticism, but hear it. Do not merely argue your case, but try to understand your interlocutor as well. Learn as much as you can about not only logical fallacies but also cognitive biases, memory, self justification, cognitive dissonance, and mental health. If we all do this more, there will be less drama in the world (wouldn’t that be nice!). There are genuine causes for personal and cultural rifts. Sometimes, people are just harmful and wrong. But sometimes those narratives we tell ourselves about how terrible someone else is are based in cognitive errors and may be related to mental health concerns. Sometimes, when all sides are a little wrong, we can convince ourselves that it’s just them. Own your mistakes, try and mitigate our blame of others’ mistakes, and do not allow tribal thinking, self-justification, and anger to shape how we interact with each other. Because even if you have reason to be angry with someone, there is often room to step back and realize why they are angry with you, and what you both might learn from each other if you just stop drowning in your own emotional and cognitive crap. If we fail to do so, we risk exacerbating conflicts rather than potentially solve them. Of course, I don’t expect some people to hear or understand what I mean here. That might mean that I’m just wrong, but it could also mean that those people are just too biased to comprehend. More likely, however, is the possibility that I’m a little wrong, and they are a little biased.